New York Yankees senior VP, general manager Brian Cashman was one of the many baseball dignitaries in attendance at the “2012 In the Spirit of the Game” charity event, held on behalf of the Professional Baseball Scouts Foundation. The gala, hosted by Larry King, Rob Reiner and George Lopez, took place at the Hyatt Regency Century Plaza in Los Angeles. The longtime head of the Yankees baseball operation is coming off a trade negotiation that brought Mariners fireballer Michael Pineda to the Bronx, in exchange for top flight catching prospect Jesus Montero. Cashman and the Yankees hope to make a return trip to the Fall Classic, now that they have combined their prolific offense with a potentially formidable pitching rotation, led by veteran CC Sabathia and young guns Ivan Nova and the newly acquired Pineda. 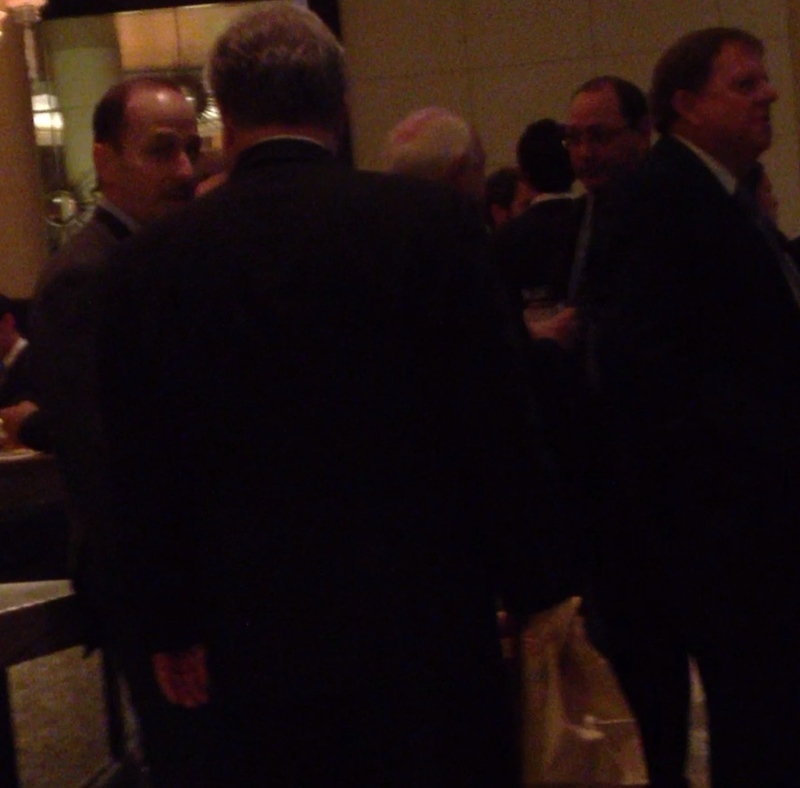 Cashman, the architect of four Yankees world championship teams, was seen circulating around the hotel lobby, prior to heading downstairs towards the ballroom. Check out the above iFollowSports.com original photo of Cashman during the weekend affair in LA.